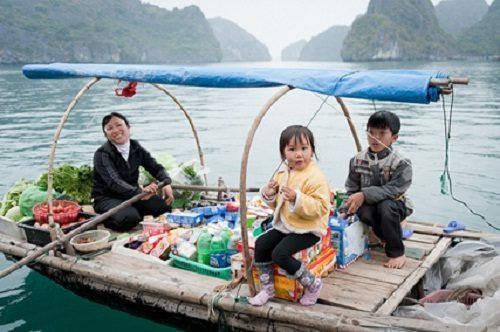 Halong Bay is a magical natural world waiting to be explored. 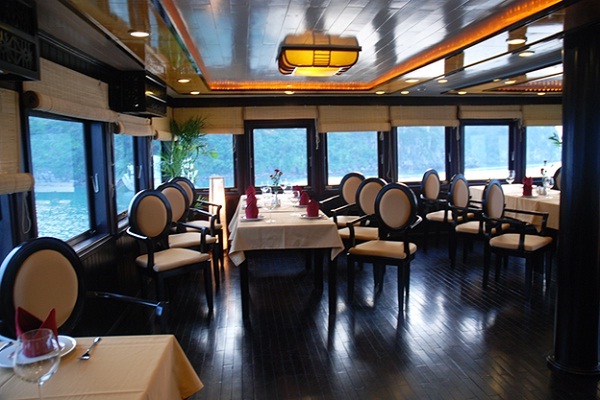 Caravella Cruise combines oriental style with contemporary luxury. Together these are the perfect recipe for an enchanting and relaxing experience. With a creative fusion of traditional oriental styling and western comforts and amenities, the Caravella Cruise caters for a variety of travellers, from love locked honeymooners to families and friends. The welcoming and friendly atmosphere of Caravella cruise flows seamlessly with the atmosphere of a bay so naturally beautiful it cannot fail to strike the hearts and spirits of people from all walks of life. 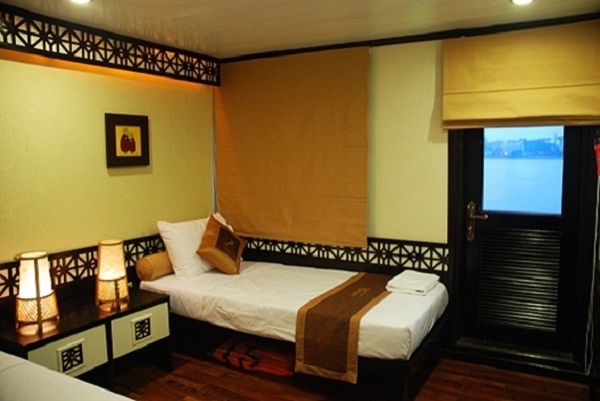 All cabins are equipped with air conditioners and en-suite bathrooms to ensure maximum comfort. The distinctive handcrafted woodwork and boutique décor allows you to relax in style and make the most of your Halong sojourn. The Caravella Cruise is a unique choice for leisure seekers, honeymooners, families and small groups alike. 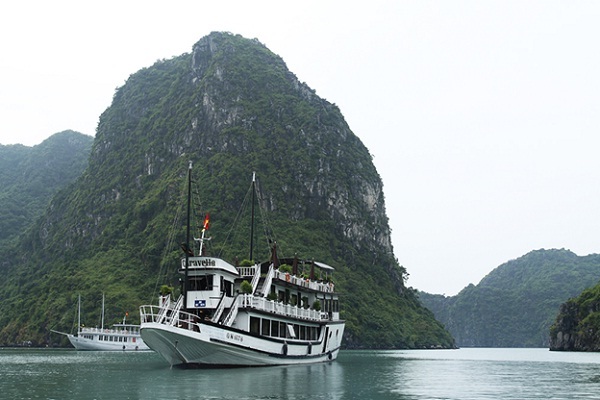 The accessible design seamlessly merges the spectacular scenery with cozy living areas to allow passengers to create a one of a kind Halong Bay experience. Sip on a sunset cocktail at the bar or enjoy a fine dining experience in the restaurant. Whatever your food and beverage requirements, relax and let the well trained crew take care of everything. Enjoy fine dining on the upper deck in the ambient restaurant and bar, or stay in one of the 3 cabins on the upper deck. Relax with a book on the top deck or simply sip cocktails as you cruise around the bay.